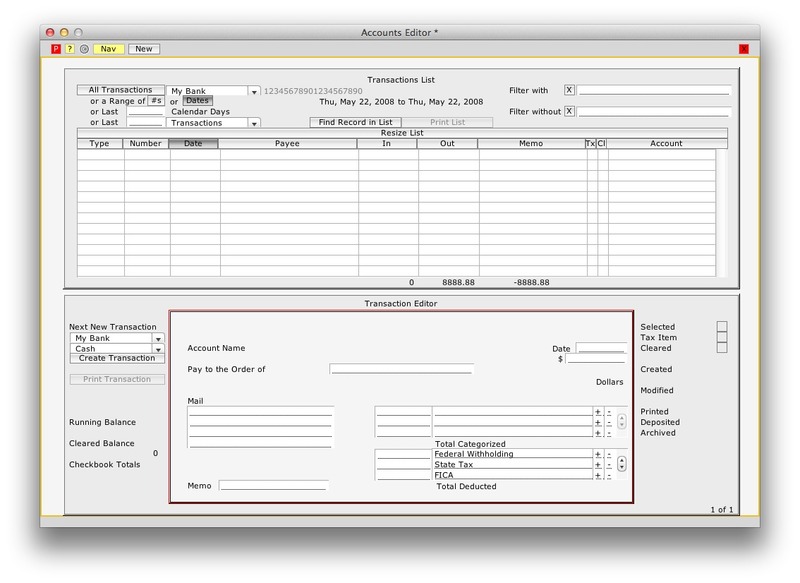 The system has many programs which provide accounting information. 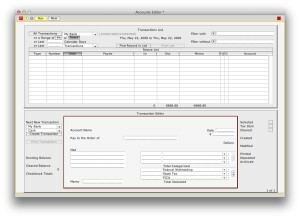 This screen shows the “Register”, listing current and past transactions. The Navigator provides even more lists – as well as dedicated accounting programs like Transactions, Backlog, Aging, Receipts, etc. The Ahsomme system works well with most standard accounting systems – if you wish to continue using a dedicated accounting program for that part of your business. Unlike many dedicated accounting programs, Ahsomme is truely multi-user. You can have part of your staff entering payables and another part of the staff checking receivables with complete file and record locking.